★ Happy Birthday Ingrid ☆ . . 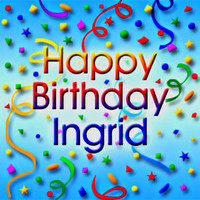 Images in the Ingrid's Graceland club tagged: happy birthday ingrid.